Summer brings warm weather, sunny skies and lots of new opportunities to learn and grow. One way for children with special needs to learn is through the use of sensory bins, which include items with texture or other sense-stimulating characteristics. 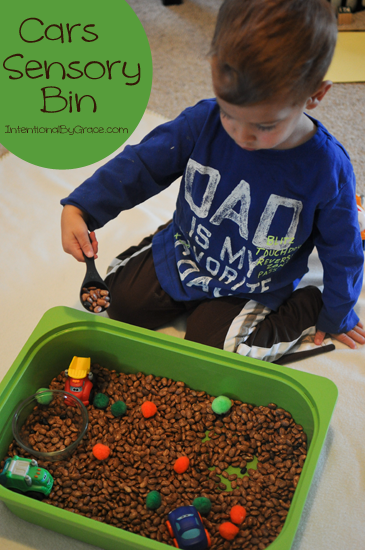 Common bases for sensory bins include water, shaving cream, sand, mud, rice, and uncooked beans. From there, you can toss in all sorts of objects to stimulate play and add extra sensory input. We hand-picked 10 summer-inspired sensory bins for occupational therapists, physical therapists, speech-language pathologists, play therapists and special education teachers to use in their special education classrooms, or during therapy sessions. 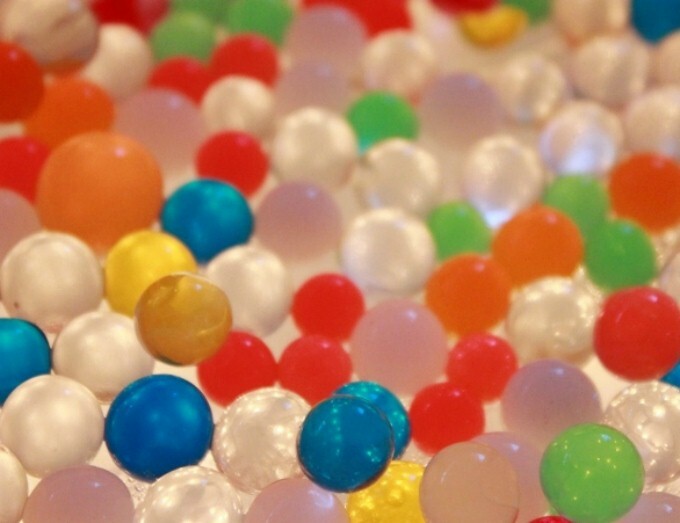 Water Beads – Water beads (which can be purchased at Amazon.com) can provide hours of sensory playtime, and are reusable. The beads start out small, and expand as they absorb water – typically, up to 100 times their weight. Use them as a stand-alone sensory bin or with shaving cream, Cool Whip®, microwaved Ivory soap, water balloons or other toys. Because water beads are great for soothing and relaxing, they can be used by occupational therapists or special education teachers with children who are experiencing anxious symptoms. 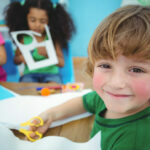 For more great ideas on how to use water beads, visit artfulparent.com. If you’re concerned about a young child accidentally ingesting water beats, try edible water beads in the form of tapioca pearls…thanks to kidsplaybox.com (Twitter: @blogmemom) for this idea! Beach Sensory Tub – Special Education Teachers and school-based therapists love to invite the outside world in with sensory bins and tubs like this Beach Sensory Tub. Using sand as the base – and then adding a variety of different shells and toys – allows your students to explore various sizes and textures. 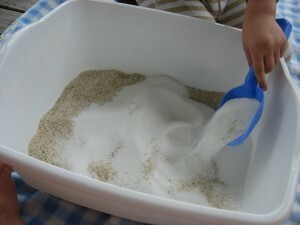 Remember to add a play shovel, and include a small pitcher of water to turn the sand into mud. Thank you to NoTimeForFlashCards.com (Twitter: @NoFlashCards) for this great idea. 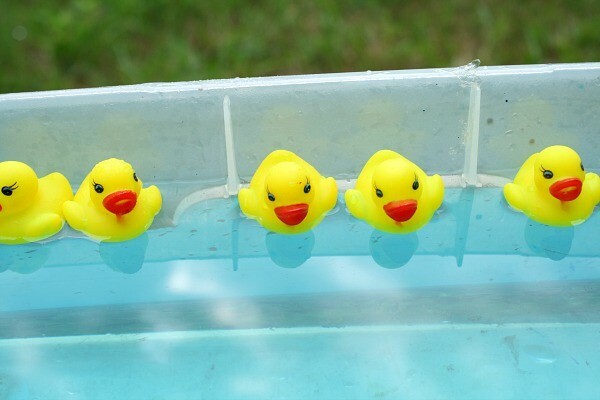 Duck Races – Ideal for occupational therapists and physical therapists who are helping children with fine motor skills, Duck Races involves putting small rubber duckies into a tub of water and using a spray bottle to “spray” the ducks across the “pond”. If played in a competition it can be an actual race, but is just as fun when utilized individually. Thanks to FantasticFunandLearning.com (Twitter: @Shaunna_FFL) for this activity. 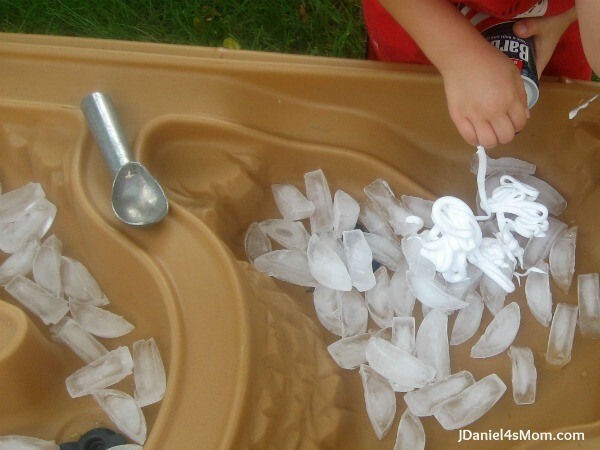 Ice Cream Game with Shaving Cream – Ideal for outdoor time when the weather is really warm, this sensory bin involves the use of ice cubes and shaving cream in a bin or tub (JDaniel4smom.com (Twitter: @jdaniel4smom) recommends using shaving cream that won’t burn or sting.) The child can then pretend that they are serving up bowls of ice cream to family and friends. Ice cream scoops can add to the sensory play, with different handles and textures. If you’re apprehensive about children ingesting shaving cream, you can easily substitute with instant pudding – thanks to Rainy Day Mum (Twitter: @rainydaymum) for this idea! 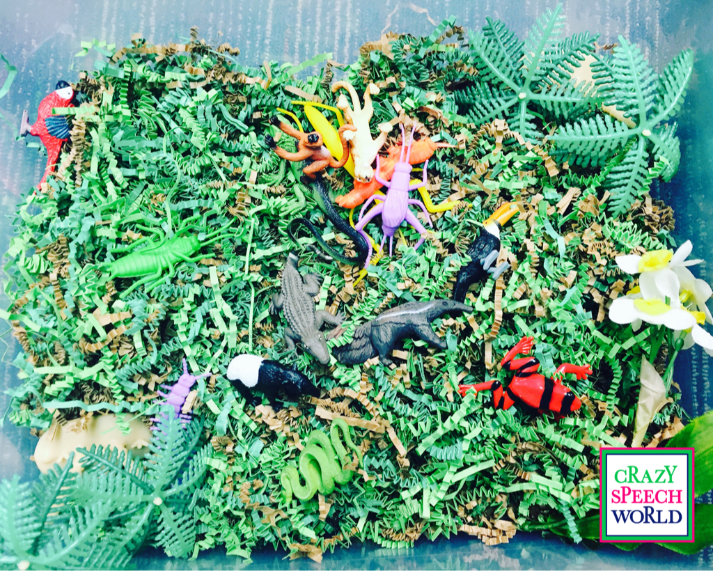 Welcome to the Jungle – Crinkled paper grass, plastic trees and flowers, and toy jungle animals and bugs make for a hit with this summer-inspired sensory bin. CrazySpeechWorld.com used this as part of an entire speech therapy learning theme in the classroom. The crinkled paper is a new add-in for sensory bins and offers an interesting tactile experience for children with special needs. 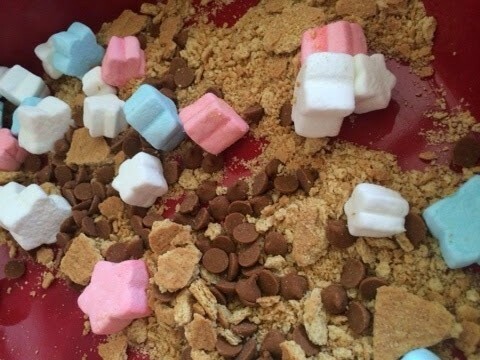 S’Mores Edible Sensory Bin – Providing the added benefit of a traditional summer camping treat, this fun and tasty sensory bin project can start with helping the children crush up the graham crackers before putting them into the bin. Then add chocolate chips and mini marshmallows to complete the combination. We love this idea from Viewsfromastepstool.com (Twitter: @kchiavarone). Star Gazing – Special Education teachers, occupational therapists, physical therapists and speech-language pathologists can bring a little of the outdoors inside with this summer-inspired sensory tub. Glow-in-the-dark stars, black pom poms, and even some toy astronauts can complete the solar system/space theme. 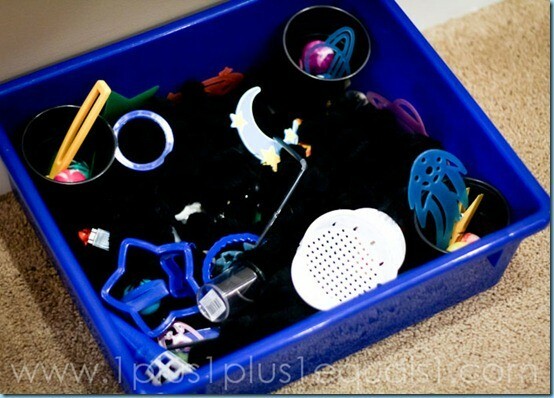 For more ideas on solar system sensory bins, check out 1plus1plus1equals1.net (Twitter: @1plus1plus1). Go Fish – A small inflatable boat, some plastic toy fish, a toy bug net and some glitter make for a pond-style sensory bin. Encourage your students to go fishing with the net, or even their hands. You can add plastic eggs for scoops, foam water lilies, and more! For a less messy (read: less watery glitter or indoor splashing) version of this sensory bin, use rice with blue food coloring instead of water. Planes, Trains and Automobiles – Summer often brings new adventures — and challenges — for special needs children as they travel with their families on vacation. Speech therapists and special education teachers can open up conversations about family travel adventures with a Planes, Trains and Automobiles sensory bin using pinto beans and toy vehicles. Add pom poms, scoops, bowls and stirring sticks for more fun! This bin was inspired by IntentionalbyGrace.com (Twitter: @n10tionalgrace). Cloud Sensory Bin – Cloud gazing and imagining what shapes are floating by is a fun pastime any day of the year – but it’s especially perfect during warm weather. 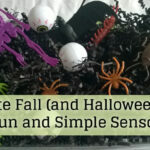 You can recreate this theme with the Cloud Sensory Bin shared by LifeWithMooreBabies.com (Twitter: @LifeMooreBabies) in your occupational therapy job or special education teacher work. 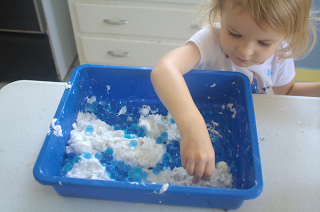 With a base of microwaved Ivory Soap, this sensory bin has a lot of expansion possibilities – including adding toilet paper, water and beads (to symbolize rain drops). With this variety of summer-inspired sensory bins and tubs, you will have hours of summer activities for your therapy sessions or special education classroom. 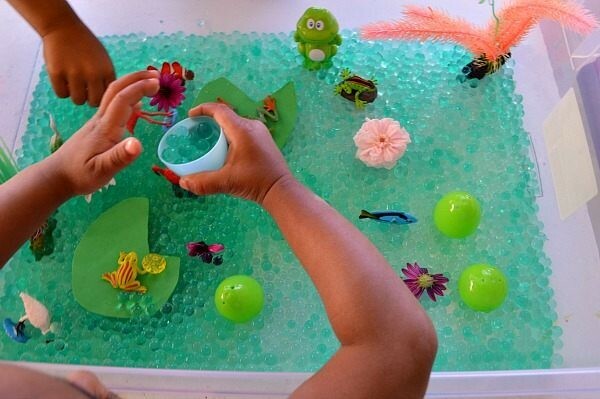 Do YOU have a favorite summer-inspired sensory bin? Please share it with us in the comments section below!